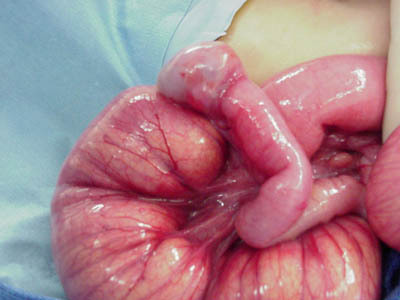 Capillary hemangioma is a rare cause of GI bleeding in newborns. 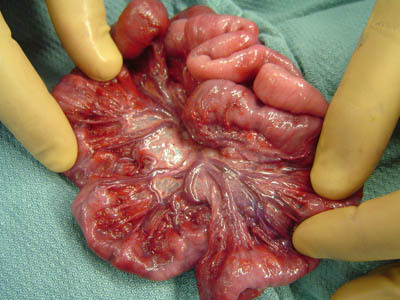 Diagnosis was made on exploratory laparotomy in this difficult case which presented with an unknown cause of GI bleeding. Laparotomy shows extensive capillary hemangioma confirmed by appendiceal biopsy. 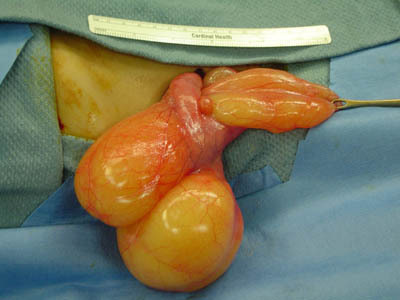 Note the milky fluid contained within the lymphatic malformation.